Whenever anyone asks me for recommendations for Broadway shows, I fall silent. Although I love seeing shows on Broadway, it's not one of those things that I do often or regularly. I usually go when a friend suggests we see a show or when a favorite celebrity has a limited engagement appearance in a show. 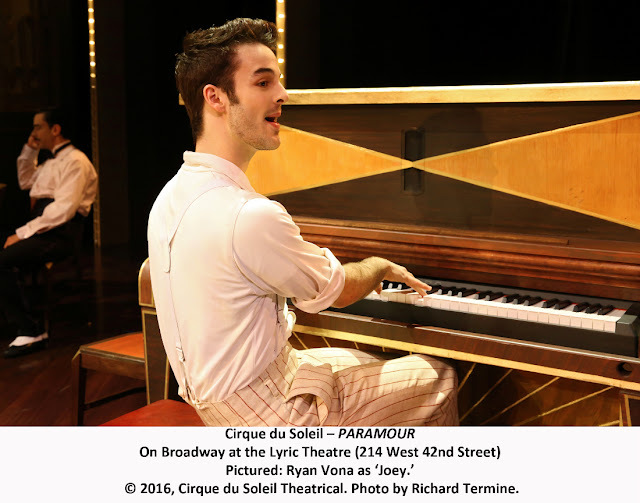 When I was invited to see Cirque du Soleil's PARAMOUR on Broadway, I was slightly intrigued. Hmmm. Cirque du Soleil + Broadway = ???. I wasn't sure what to expect. Would the show consist primarily of Cirque du Soleil's trademark acrobats and contortionists or would it be filled with the song and dance that makes Broadway famous? I had seen only one other Cirque du Soleil show, "La Nouba" in the West Side at Disney Springs back in 1999. It was spectacular and awe-inspiring. I was certainly up for seeing another Cirque du Soleil show if it compared to "La Nouba". 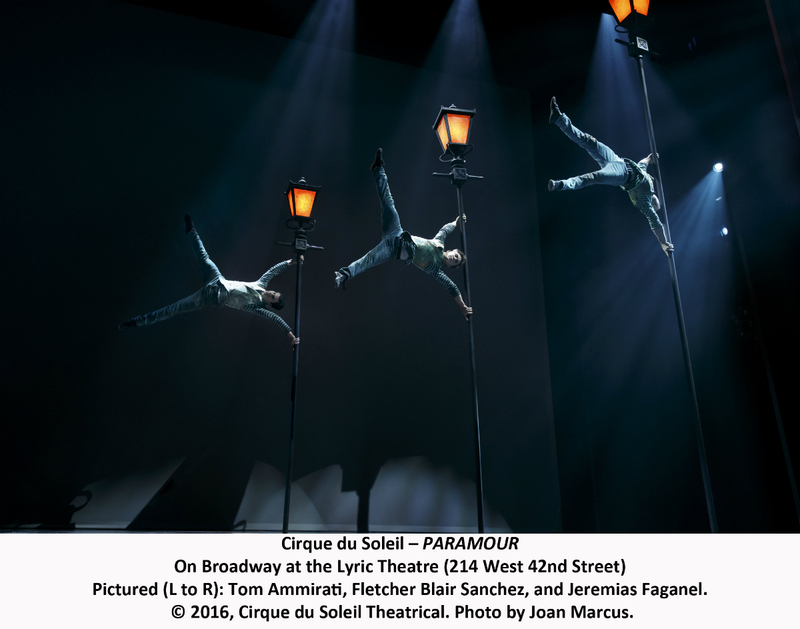 “Cirque du Soleil Paramour is a terrific summertime evening. Emma, Harper, and I took a train into Manhattan last week to experience PARAMOUR. It didn't disappoint. The combination of singing and dancing that is typical Broadway combined with acrobatics, flipping, and flying that is typical of Cirque du Soleil were a feast for our eyes. There were moments that took our breath away and others where we held our breath in suspense. 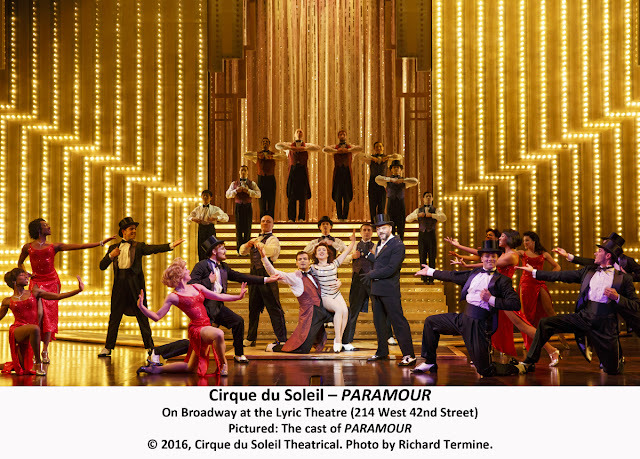 PARAMOUR takes place during the Golden Age of Hollywood and is a tale about a budding young actress who is forced to make a choice between love and her theatrical art. 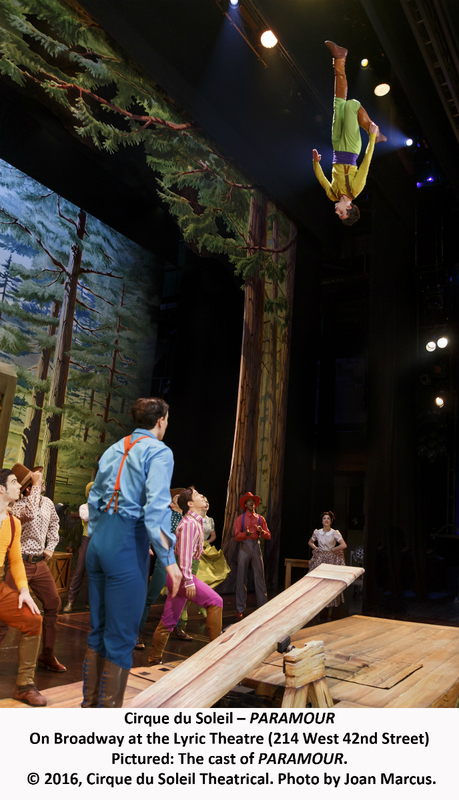 The story is set to eye-popping acrobatics and glorious music and dance that hold you captive for two hours. When the show first started, I was a bit confused as to how and why it was associated with Cirque du Soleil as it was very heavy on singing and dancing. 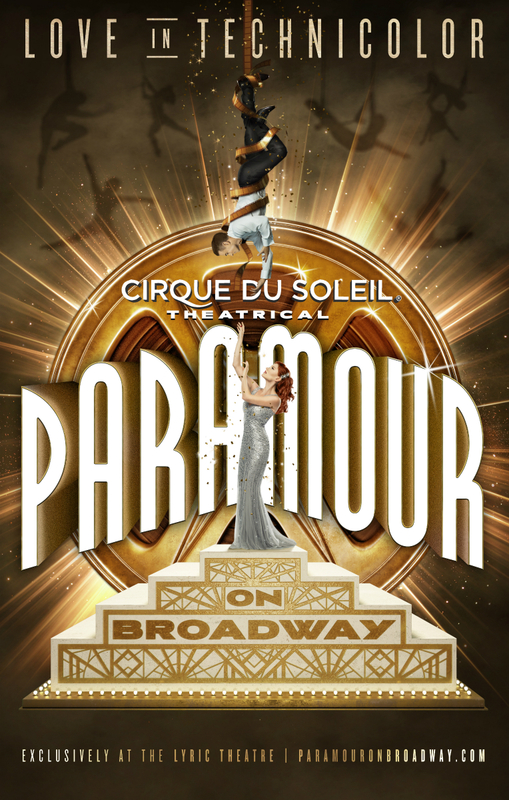 But soon after the first scene, it was obvious that "Paramour" is most definitely a Cirque du Soleil show. We loved everything from the gymnasts and jugglers to the singers and dancers. I enjoyed how seamlessly the circus acts were weaved into the show. For us, they provided the real entertainment. The love story was somewhat predictable from the beginning. You could have guessed how it would turn out. So, we were always looking forward to the next acrobatic moves and feats. If you are in search of a Broadway show that's a bit different from any you've ever seen, get tickets to see PARAMOUR. It's both impressive and exciting and perfect for all ages. Because of the fast past and awesome feats, children will be especially enthralled. PARAMOUR is currently playing at the Lyric Theatre. For showtimes and ticketing information, visit Ticketmaster. Disclosure: I received complimentary tickets to see PARAMOUR. All opinions are my own.